QTY 12345678910111213141516171819202122232425262728293031323334353637383940414243444546474849505152535455 Please select a quantity. 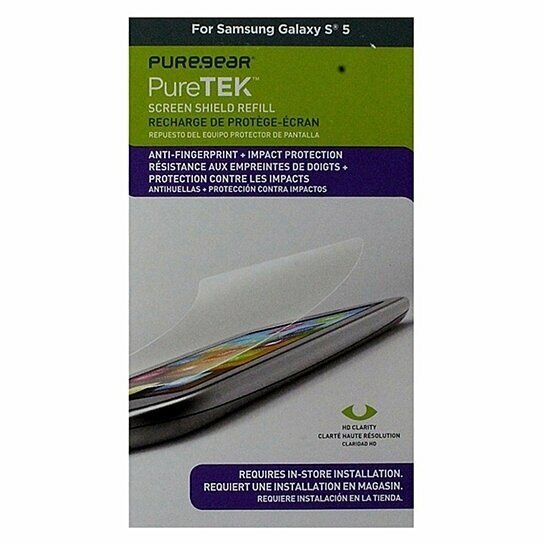 Pure-Gear products PureTek Series Refill Screen Protector for the Samsung Galaxy S5. Requires In-Store installation or a PureTek Roll-on Kit. Clear finish. Anti-Fingerprint, Impact protection. HD Clarity, scratch resistant, case friendly, bubble-free.